ApplePay™ is an extension of Apple’s® Passbook app in to a digital wallet. Consumers can import Visa, MasterCard and American Express payment cards from their iTunes® account or use the phone’s camera with a card in hand to pay. The app now incorporates TouchID™, an NFC transmitter, and a secure element to affect card transactions. Customers can pay for merchandise by using Apple’s iPhone® 6, iPhone 6 plus and the Apple Watch. First and foremost, this is not a new payment product…it is simply a different way to pay by credit or debit card. The card number is the same; it’s just replaced by a secure, electronic token during communication between the mobile phone and payment terminal or shopping cart. 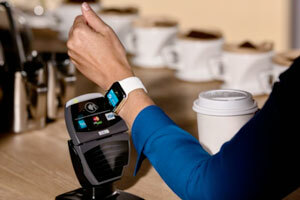 The technology behind the process, Near Field Communication (NFC), has been around for years. Secondly, this “new” process works with the Near Field Communication (NFC) component of the EMV Chip cards that U.S. card issuers are providing customers to meet the October 2015 deadline for EMV/Chip card acceptance. This “contactless” process uses a chip that is stored on a secure element inside of the mobile phone. How much does it cost to accept Apple Pay payments? The merchant does not have to pay any additional processing fees to accept payments made through Apple Pay. The merchant will pay the same processing fees to their merchant account provider as they would if the merchant swiped or manually entered a Visa, MasterCard or American Express payment. The payment is still processed by the merchant’s existing payment processor over the merchant’s existing merchant account. In the eyes of the merchant, not much changes. Those payments appear on the merchant’s monthly statement from their merchant account provider just like any other Visa, MasterCard or American Express payment. Top of mind with all consumers today is security, especially with all of the recent high-profile data breaches. Apple Pay includes security features to help protect businesses and cardholders alike: each transaction is authorized with a “one time number”,or token, and a dynamic security code in place of the CVV on the back of the card. Even if hackers steal the codes, they’re useless. They will not work twice. The card number is not stored on a phone. 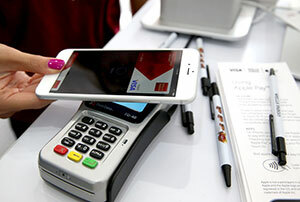 If an iPhone is lost or stolen, the owner can suspend all of the payments from the device without canceling the card. In addition, Apple will not have access to the product data, any information about the business conducting the transaction or the transaction amount. 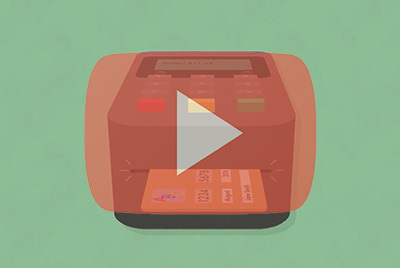 What does a merchant need to accept Apple Pay in-store payments? A merchant needs an NFC capable device. The good news is most NFC enabled terminals today can support Apple Pay. That means many merchants already have Apple Pay acceptance capability. The payment is still processed by the merchant’s existing payment processor over the merchant’s existing merchant account. In the eyes of the merchant, not much changes. What does a merchant need to do in order to accept Apple Pay payments? 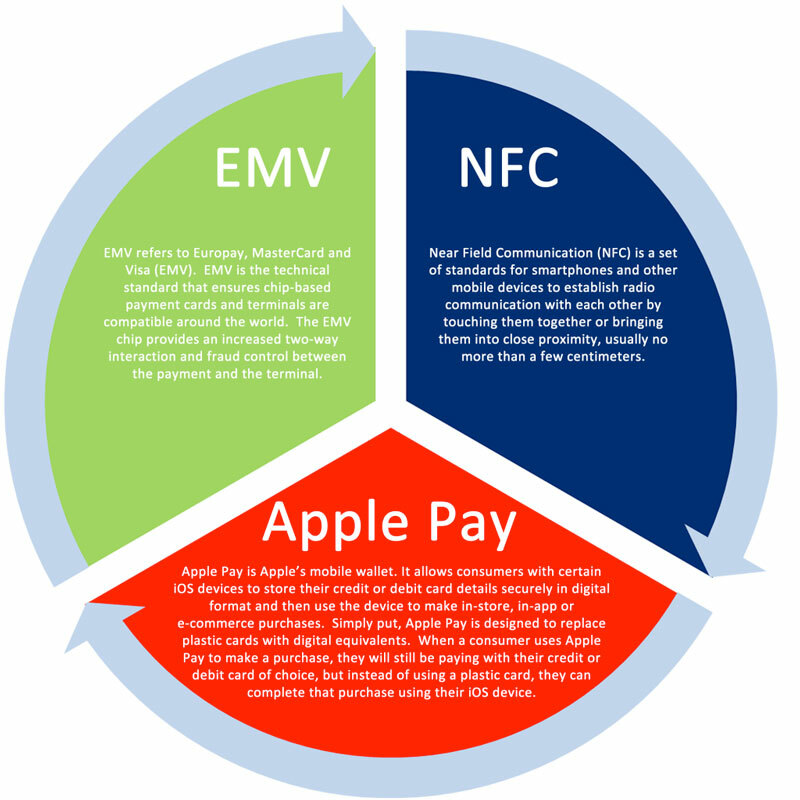 Card present merchants need an NFC capable device that can read the Apple Pay format. 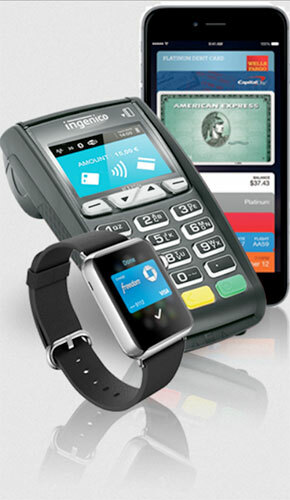 The good news is most NFC enabled terminals today can support Apple Pay. That means many merchants already have Apple Pay acceptance capability.